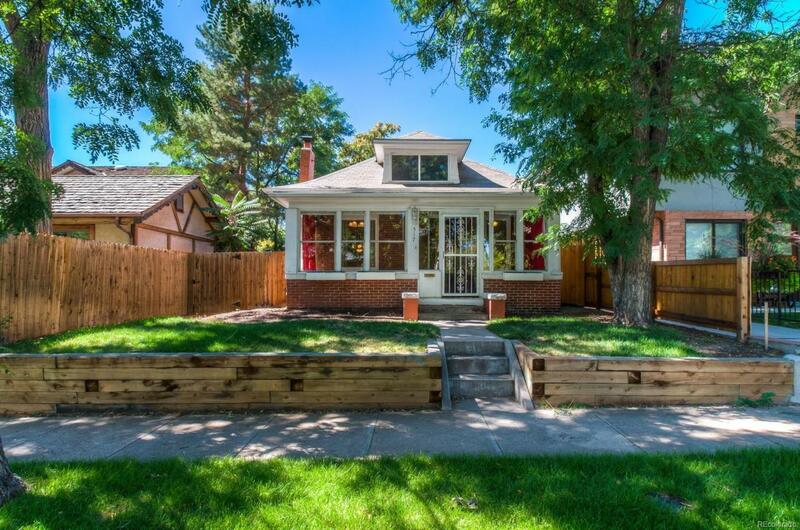 Fantastic opportunity to own in Cherry Creek! A home perfect for move in, renovation and remodel, or add on by popping the top! Or, start over by scraping and building your dream. There are endless opportunities with this home. The house has been updated with a heating system and central air, remodeled kitchen, newer windows, hard wood floors, french doors that open to a covered stamped concrete patio, beautiful sun room on the front of the home, private office, perfect for those working from home, large closets and plenty of storage, over sized 2 car garage, second kitchen in basement and more. Plus, you are in the heart of Cherry Creek with easy access to all the area has to offer. It is not often that you find a home that allows you the type of flexibility this home does at a price point that allows you access to one of Denver's finest neighborhoods. Don't miss this opportunity; it will NOT last long.